I spent most of today with a fly. That may seem like a huge waste of time, but this was no ordinary fly – it was a wallaby fly. The closest I usually get to one of these flies is when I see a wallaby in the garden furiously flicking its ears trying to dislodge one. The individual here took a liking to me in the garden, and hitched a ride inside. Flies of the family Hippoboscidae are all blood-sucking ectoparasites, i.e. parasites that live on the outside of their hosts. These flies usually cling to the hair of mammals or feathers of birds depending on the fly species involved. They have characteristically flattened bodies, powerful legs, and fishhook-like claws (clearly visible in the image below). You can see now why they are known generally as ‘louse flies’. There are more than 200 species found throughout the world (30 species here), and about 75% of them are ectoparasites of birds. 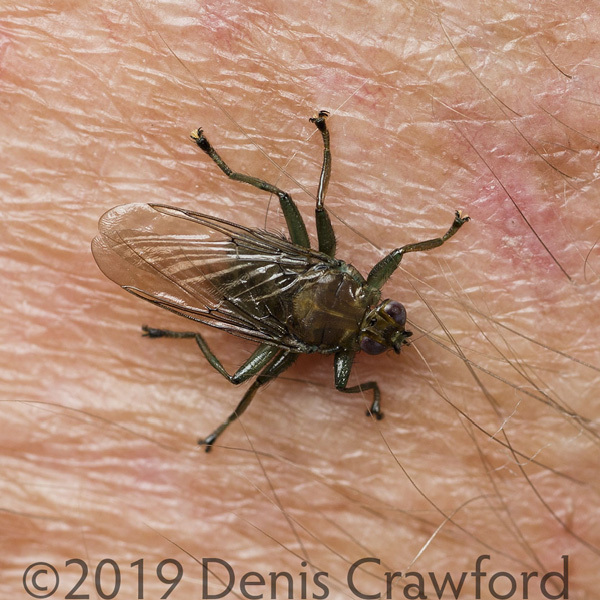 Hippoboscid flies are quite particular about their hosts, for example flies which feed on mammals are not found on birds or vice versa. Back in the 1930’s research was conducted to determine if pigeon louse flies (Pseudolynchia canariensis) could bite humans and survive on human blood. The conclusion? They will bite humans when given no other choice of warm-blooded host. In other words, only when they are forced to. In case you were wondering – I wasn’t bitten. Farmers in cooler regions of Australia may remember the introduced hippoboscid species Melophagus ovinus known as the ‘sheep ked’ or ‘sheep-tick’. In the past heavy infestations of this pest could cause anaemia in sheep, but modern farming practices have made occurrences of this pest quite rare. If you want to know more about this pest go here. While reading about hippoboscid flies I learned a new phrase – ‘adenotrophic viviparity’. I was familiar with ‘ovoviviparity’, where eggs are held within females until they hatch internally, and the females give birth to live young. 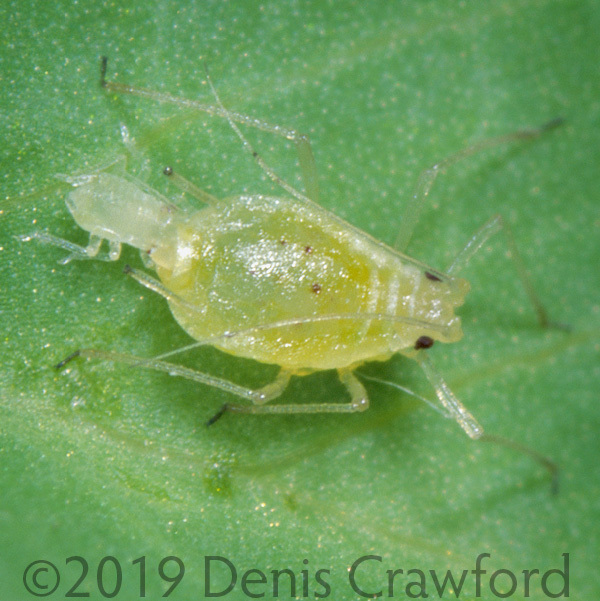 The picture above shows a green peach aphid doing just that. Adenotrophic viviparity is where eggs hatch inside the female, and the larvae are fed internally until they are mature enough to pupate. The larvae pupate immediately after being deposited by the female. 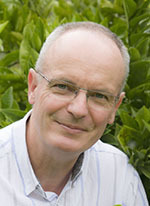 The vulnerable larvae are therefore only momentarily exposed to predators. I photographed the wallaby fly on the back of my hand in an attempt to show that it was a bloodsucker. It was also a skittish critter! Towards the end of the shoot it flew off my hand and landed on my black T-shirt – camouflaging it beautifully. It wasn’t until it crawled onto my face that I knew where it was. “Perhaps I’ve got enough photos now”, I thought. I hastily retrieved the fly and released it outside. Look out wallabies! Many of you will have noticed that my post title (Don’t Fear) The Hippoboscidae references the 1976 Blue Oyster Cult classic (Don’t Fear) The Reaper. This song has had several lives including the original (link), the merciless Will Ferrell et al parody (link) – where the line ‘more cowbell’ originates – and the fun version with cowbell (link) by Leo Moracchioli. This entry was posted in fly, parasite, story and tagged Hippoboscidae, wallaby fly by denisjc. Bookmark the permalink. Me too! Not the idea of getting pally with a hippoboscidae but learning about them and their busy little lives hanging on and sucking.